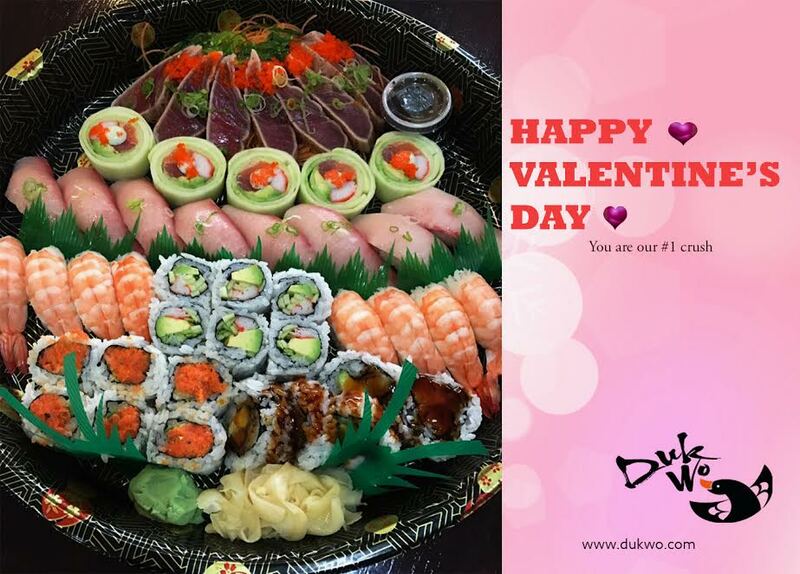 You are our # 1 crush. Sending you lots of love on this Valentine’s Day and always. A romantic dinner is just a few clicks away. We will supply the meal will always remember you supply the romance. 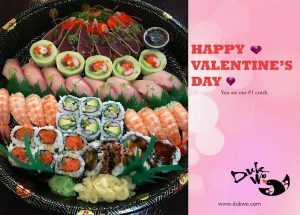 Make this a super Sunday with Dukwo you won’t forget.Get delicious and fresh sushi and Chinese food delivered to your home in time for kick off. Give your party some Asian flavor and make it a party everyone will remember. Don’t forget to add chicken wings with a side of General Tso’s sauce to you party. Go DukWo.